Your Clients Will Love This One Hour Tan! 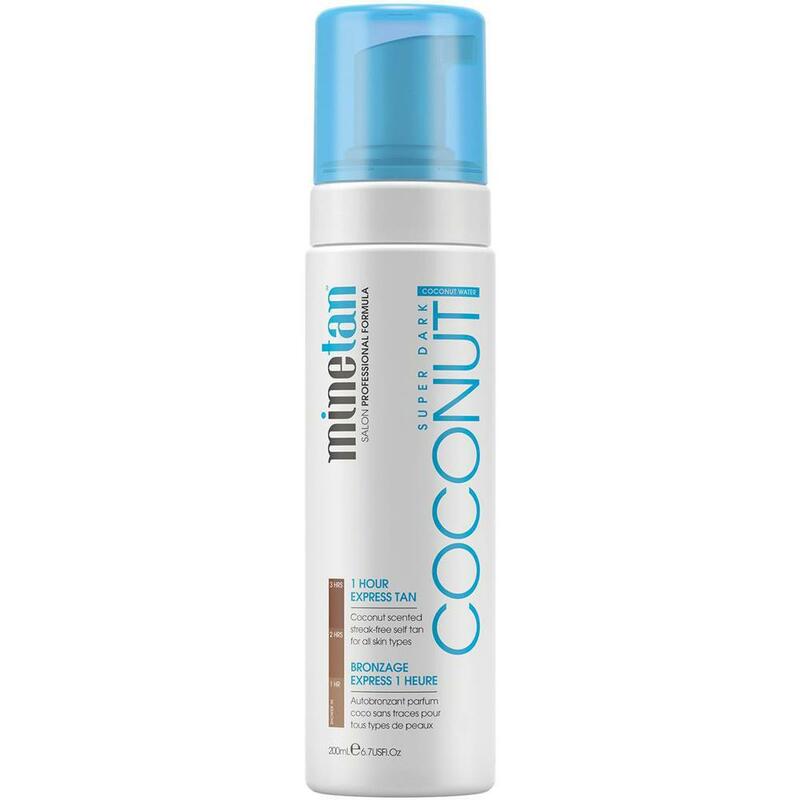 Offer your clients a one-of-a-kind bronzing treatment with MineTan® Coconut Water Self-Tan Foam. This foam features supercharged antioxidants to revitalize skin hydration. The weightless formula absorbs quickly to lock in moisture, while essential fatty acids found in natural coconut soothe dry areas. The boost in hydration replenishes the skin, making this 1-hour tan work as a moisturizer while delivering a fast, super dark brown finish. For all skin types. This is sure to become one of your knockout retail products! For a streak-free self-tan, apply to clean, exfoliated skin using Bronze On Applicator Mitt. Use sparingly on elbows, knees, and ankles. Wash hands after application. Rinse in lukewarm water after 1-3+ hours. Shower in 1 hour for a natural tan. Leave on longer for a deeper, darker skin finish. Rinse with lukewarm water only for 45 seconds. Do not use soap or scrubs. Following the first shower, the tan will continue to deepen in color over the next 24 hours. Regular showering may be taken 8-16 hours after application. It is recommended to use Bronze On Applicator Mitt and use only 1.35 fl. oz. per full body tan. 4-6 tans per bottle. If double-coating, it is recommended that only 2 fl. oz. is used.